While we have yet to set up all the feeders and landscape features that we would like to have in our backyard to attract birds, we still get a good amount of bird traffic just from our proximity to good habitat. Luckily my home office has a great window view of the backyard where I can keep an eye on what comes and goes. Of course there were many of the usual suspects: House finches and house sparrows appear in large numbers. 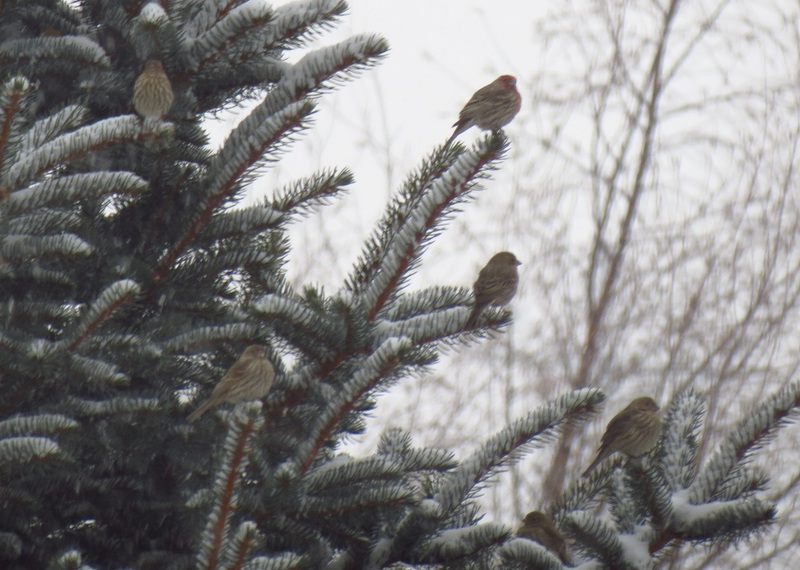 House finches and house sparrow. My backyard, Ada County. January 7, 2013. They're joined frequently by Red-winged Blackbirds, American Goldfinches, and Lesser Goldfinches. 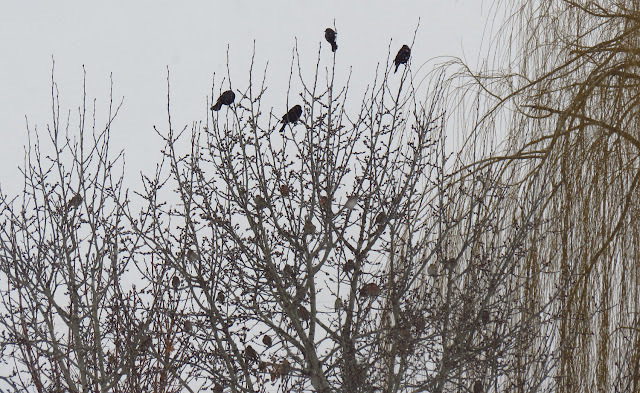 Red-winged Blackbirds, American and Lesser Goldfinches, House Finches, House Sparrows. My backyard, Ada County. January 7, 2013. 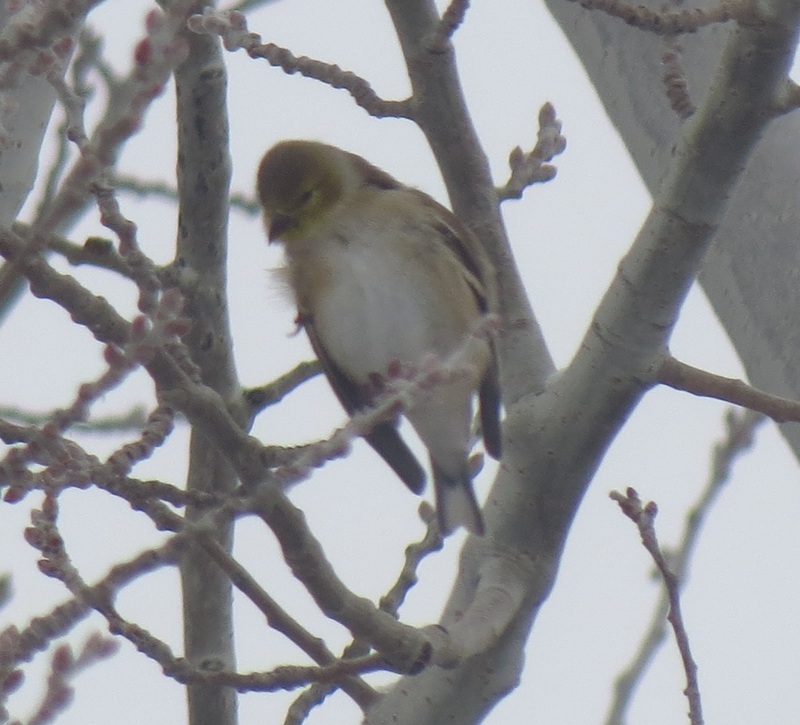 Occasionally the goldfinches will cooperate long enough for a fuzzy through-the-dirty-window photograph. American Goldfinch (note the white undertail coverts). My backyard, Ada County. January 7, 2013. Dark-eyed Juncos (Oregon race) show up most days as well. 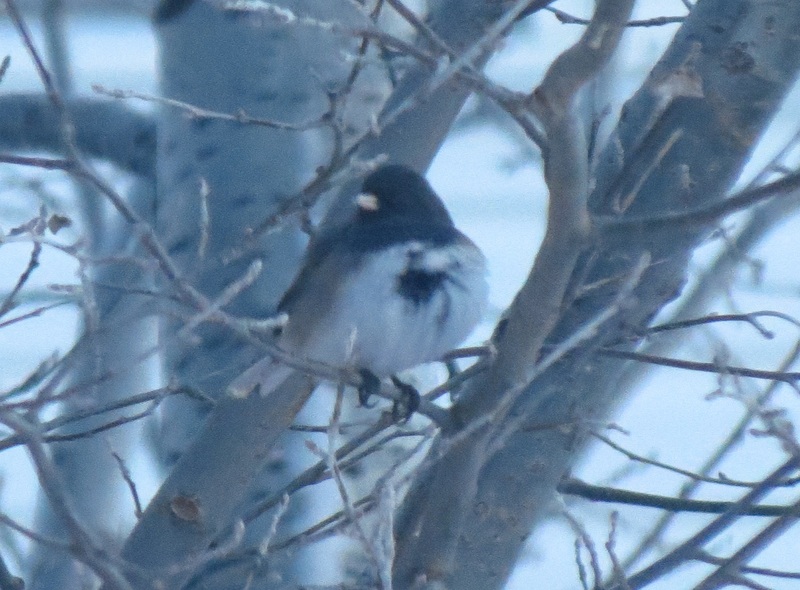 Dark-eyed Junco (Oregon), with the wind exposing a patch on its breast. My backyard, Ada County. January 11, 2013. 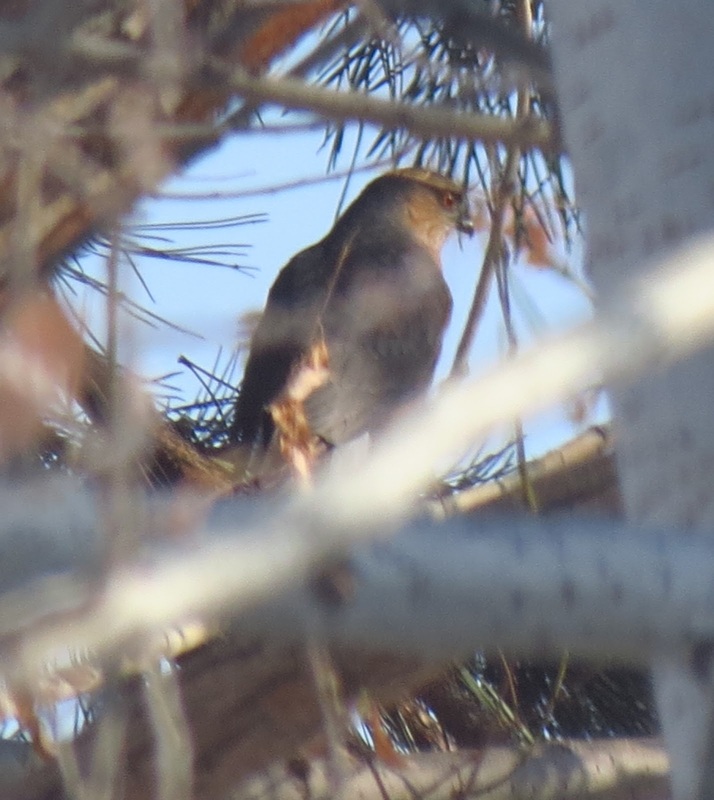 Of course most of the songbirds disappear when the neighborhood Sharp-shinned Hawk stops by. Sharp-shinned Hawk, avoiding the paparazzi. My backyard, Ada County. January 13, 2013. Other highlights (not photographed because I was focusing more on work than the birds) include a Ruby-crowned Kinglet, California Quails, a courting pair of American Kestrels, a Merlin (that the Kestrels did not appreciate being around), a Downy Woodpecker, a Northern Flicker, Coopers Hawk, Red-tailed Hawk, American Crows, Black-billed Magpies, many many many American Robins, European Starlings, and quite a few flyover flocks of Canada Geese.